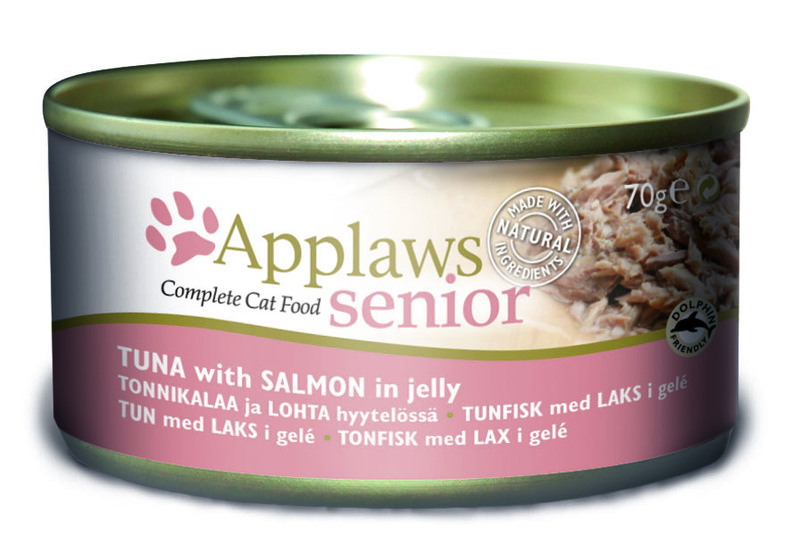 Applaws Senior Tuna & Salmon is a complete cat food which helps to support the essential aspects that need looking after when a cat gets into his senior years. Salmon Oil is rich in Omega 3 oil which contains high amounts of DHA & EPA which help to lower cholesterol while helping circulation by increasing the flow of blood. DHA also supports eyesight and healthy brain development. Tuna Loin 40%, Salmon fillet 8%. There are currently no questions for Applaws Senior Tuna & Salmon Canned Cat Food - be the first to ask one!